When it comes to commercial or residential automatic door opening systems, Toronto Certified Locksmiths has you covered. 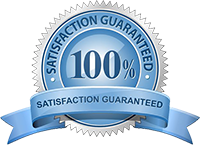 We provide repair and installation service, take care of your maintenance needs, answer any question and can update you about the recent door openers in Ontario. 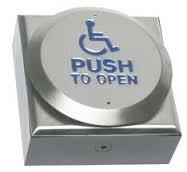 All services related to handicap door operators in Toronto are provided by specialized and well-trained professionals. With great care about your safety and respect to your demands, our technicians are available to help you with any request, concern or problem in Toronto. Handicap automatic door openers are installed to open any door to people in wheelchairs. Most of them work with a remote control, which can be easily attached to the scooter or wheelchair. As an alternative, people can use wall push buttons or other devices to activate the opener. Residential door operators are low energy systems to allow elderly, people with disabilities and children to move from one room to the next with safety and ease. If the speed of your door is not satisfactory or the pace is changed overtime, call us for service. Our Toronto Certified Locksmiths can adjust the door opener settings to ensure the door is opening and closing all the way, at the right speed and with safety. We do repair work as fast as possible and this might also include fixing the door closer or replacing damaged parts. With stocked service trucks, repair and replacement services are provided in timely fashion and are completed quickly. If you need help with your commercial door control system or the release mechanism of the opener, call our team. We can fix any problem with your business handicap door operators in Toronto, ON. Need emergency assistance? Count on our mobile team. Want to replace either your home or commercial door operator? Talk to our staff for further information about the newest systems in Ontario. With expert handicap door openerrepair and installation work, our company can help you have easy and safe access every single day. Call us if you need our help.